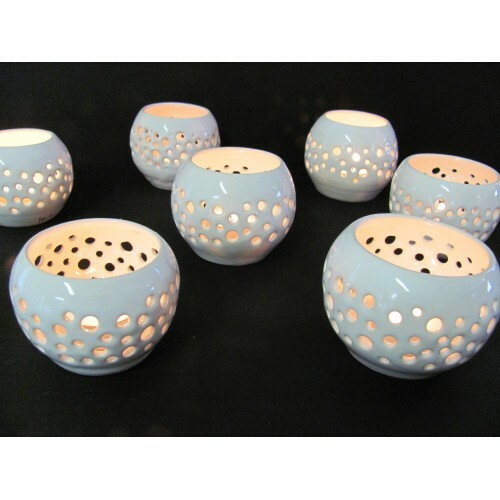 Use these to add a magical touch to dinner tables, dining al fresco in the summer, or to set a romantic tone to a cozy evening. My Luminaries are wonderful gifts as singles or in pairs! My hand thrown orbs are pierced and glazed all in white~ these measure 2 1/2 ' h x 4 1/2 at the broadest part of the body. 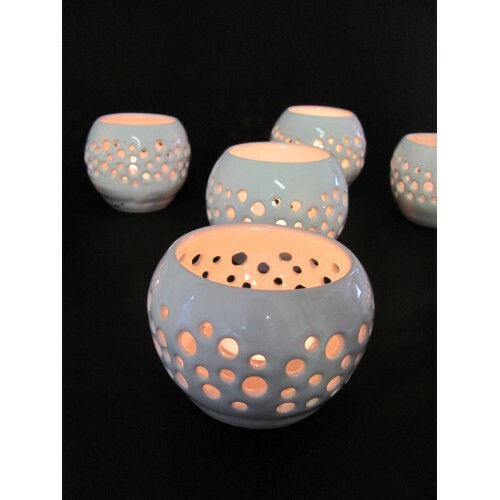 Openings measure 2 1/4- 2 1/2 "~ tea lites fit beautifully, however votive candles no larger than 2 x 2" will work as well. The effect is most charming when the flame burns below the rim.